Instagram was one of the earliest Apple Watch apps, but with the smartphone app's latest update its wrist companion has now vanished without a trace. While the release notes pay no mention to the disappearance, it should be no surprise. Last year Apple announced that starting 1 April 2018 updates to watchOS 1 apps would no longer be accepted. 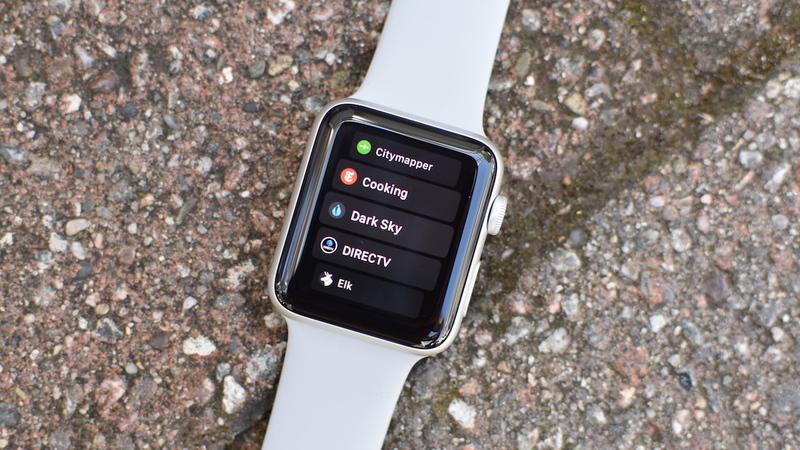 Instead Apple will only now accept updates to native apps using the watchOS 2 SDK or later. Instagram's Apple Watch app has been lagging behind for a while now. The fact it wasn't native meant it couldn't make use of Wi-Fi, let alone LTE, nor could it play videos. Instagram either had to upgrade or ditch it, and it's taking the latter route for the time being. We're yet to hear whether an updated app could be coming, but with rumors swirling that Apple will introduce a way for third-party apps to make use of LTE, we wouldn't be surprised if Instagram makes a reappearance before long. On the other hand, there's a convincing argument that such a visual app isn't a good fit for a smartwatch anyway. So if this is the last we've seen of Instagram, we can't imagine it will be hugely missed. It joins a list of apps that have vanished from the Watch over the past few months, which includes Google Maps, eBay, Amazon and Slack. What most of these have in common is that they don't make an awful lot of sense on a smartwatch, where simply mirroring notifications from the smartphone can suffice. Having a native app can provide a bit more granularity to the notifications you receive (WhatsApp either gives me every single message from every group chat I'm in, or none at all), but in some cases the development effort put into these apps just isn't worth it. And as smartwatches are maturing, we're getting a better sense of what works on the wrist, and what doesn't. Instagram never felt like a great fit, but maybe if Apple does open up its LTE highway for developers to tap into (as is rumored for watchOS 5), things could change. Us? We're just praying for a native WhatsApp app. When the Apple Watch first came out, almost every developer rushed to be the "first" to get an Apple Watch version, but didn't clearly think about the usefulness of the app. I remember Microsoft having OneDrive for the Apple Watch but was pretty much limited to only viewing a few pics, and Google Maps didn't even support turn-by-turn instructions, the Target app was just a shopping list, but you could just use Reminders for that. I honestly see the Apple Watch as more of a fitness platform at this point, since the majority of apps I notice people use are workout/activity apps.